Daleys Fruit Tree has Plants for Sale to Pacific Haven and can Mail Order them to you door. Click to Find out how much Freight Will Cost. Seedless variety, maturing later than all other navels, usually mid July through to October. Thin smooth rind. The fruits are similar to the Washington but they are picked a couple of months later in the season. 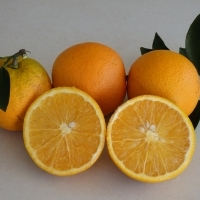 They are therefore a great companion tree to plant with a Washington navel or a Navelina for an extended fruiting season of navel oranges. Late variety, very juicy, holds well well on the tree getting sweeter the longer the fruit are left, they can be picked as required. The ideal variety to extend the season right through to December. Crops very well in the subtropics. 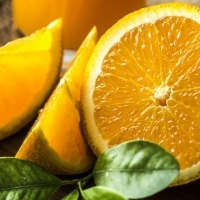 Valencis is a well known juicing orange which has a distinctive fresh orange tang. This seedless orange is a bud sport of the Valencia, maturing a little earlier, its a heavy cropper and good juicing variety. Attractive compact tree. Fast growing rainforest tree. The species is well regarded for its timber and as a key in regenerating rainforest. 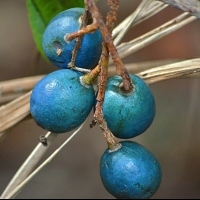 The fruit of this species is round and blue, between 20 and 30 mm across, and has a seed with deep convolutions in its shell. These are eaten whole by cassowaries, woompoo pigeon and spectacled flying foxes, which pass the nut undamaged. A large tree up to 50 metres tall, usually with elaborate buttressed roots. Flowers, fruit, foliage and shape make this an ideal tree for large gardens or parks.